Investors welcomed the aircraft maker’s strong sales and improving margins. But the slow-selling flagship A380 needs a costly redesign and could benefit from Airbus’ expertise in modernising proven models. In the short run, that will dent profit. 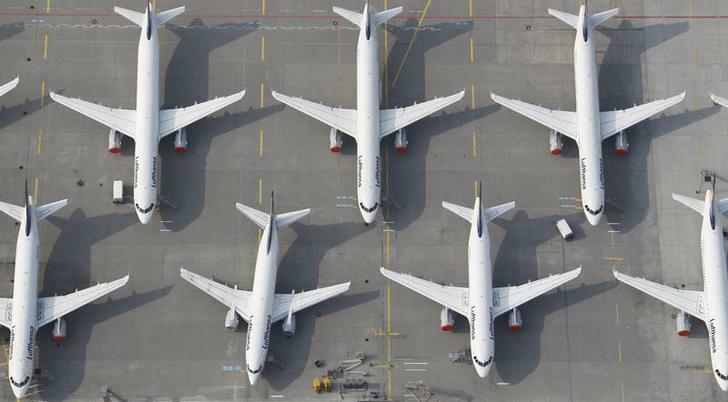 An aerial view shows Lufthansa planes parked on the tarmac of the closed Frankfurt's airport. Airbus Group on July 30 reported first-half underlying operating profit up 10 percent and reaffirmed its forecasts for the year. Its basic 2015 business outlook remained unchanged. The pan-European aircraft maker in mid-July said it would develop a new version of its A330 passenger jet, its most profitable wide-bodied jetliner. The company said the project would trim 0.7 percentage points off its 2015 return-on-sales target of 7-8 percent. Half-year revenue rose 6 percent to 27.2 billion euros, led by increased deliveries of commercial jets and helicopters. Core operating profit rose 9.6 percent to 1.77 billion euros in the same period. Airbus shares rose by more than 4 percent to 45.51 euros in midday trading.